Visit our booth P246 at the ESCRS Lisbon 2017 to see VAO in action and enjoy a glass of our exclusive wine, Cerezalla! 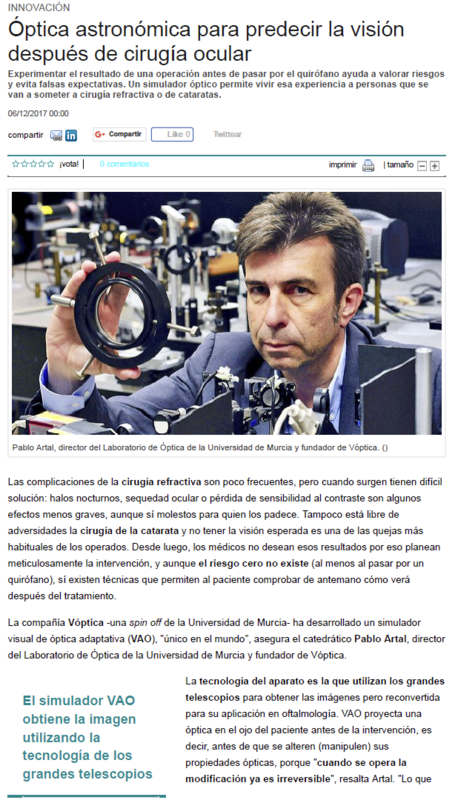 Do not miss the opportunity to discover what VAO can do! 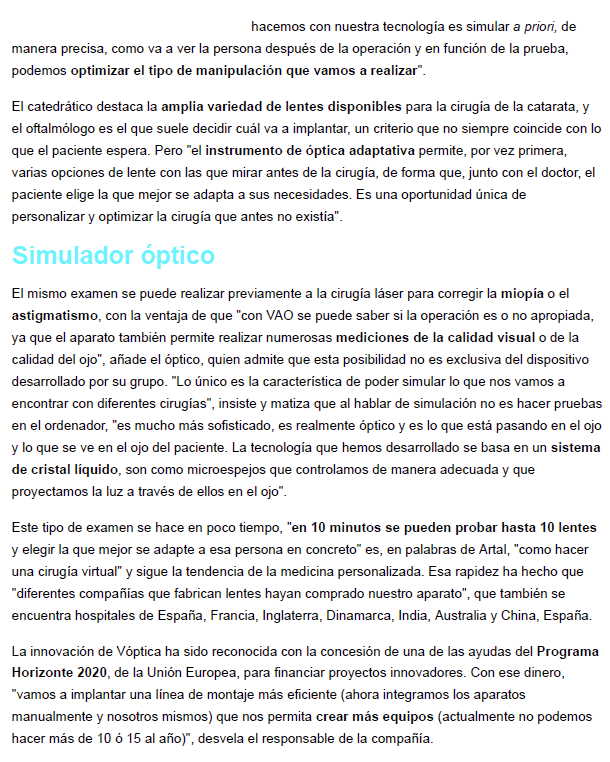 Voptica fulfill all the quality requeriments to be in your clinic! ISO 13485 and ISO 9001 certify Voptica’s QS. VAO OBTAINED THE CE MARK THIS WEEK!! From this week VAO is ready to diagnose in every clinic and hospital in Europe !!! We thank all the visitors your time at the ESCRS 2016. It was our pleasure and honour having you there! 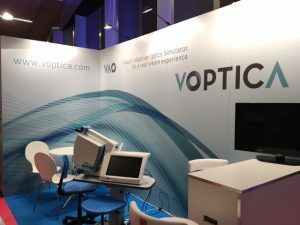 Do not miss the most innovative and powerfull technology to replicate any optical solution !!! !